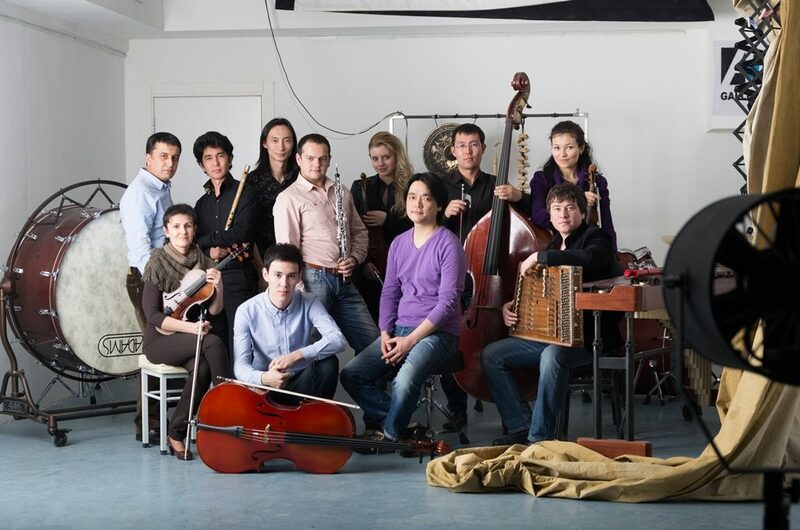 The Omnibus Ensemble was founded in 2004 by group of musicians-enthusiasts leaded by composer, conductor, and theatre director Artyom Kim, in Tashkent, Uzbekistan. For years the collective performs the leading role in Central Asia in the field of contemporary music. The ensemble’s repertoire includes the works of most composers who became the key figures in the 20th and 21st Century music. In nine out of ten cases the works are performed by Omnibus for the first time in Central Asia. The group is also active in searching for new ways of presenting contemporary art in the modern society. The most of the concert performances of the group are dedicated for experiments in combining music, theatre, dance and visual arts. The series of educational projects called Omnibus Laboratorium, organized by the ensemble for more than 10 years, brought a great number of outstanding musicians from the West – composers and instrumentalists, to teach and to perform in Uzbekistan. Thanks to this forum, a huge interest in the aesthetics and techniques of contemporary music was generated in Central Asian cultural society, and has built a world-wide international artistic network of the Omnibus. In 2008 Omnibus founded the Research & Development Centre Macomat, whose work is to preserve and develop scientific knowledge in Uzbek traditional music – Macom. The reconstruction of ancient musical scales, the invention and developing a special “microtonal” notation, the artistic collaborations with the representatives of traditional music – all these activities have influenced the aesthetic views of the group, and have helped to create a unique “voice” of Omnibus. In 2019 the Omnibus Ensemble has received a prestigious Aga Khan Music Award for its activities in the field of traditional music. Kompositionen von Jakhongir Shukurov, Il-Ryun Chung, Onur Dülger, Artyom Kim, Giordano Bruno do Nascimento (UA), Mohammad H. Javaheri (UA) , Sujin Lee (UA) u.a. Die Veranstaltung wird unterstützt durch das Goethe-Institut. Karten an der Abendkasste oder hier bei der Tourist-Information Weimar.